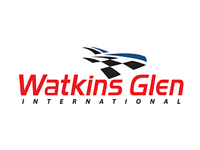 It was a cold and rainy day at Watkins Glen International but after the rain cleared, it was Alexander Rossi and Ryan Hunter-Reay covered in champagne showers as they took the top and third steps of the victory podium, respectively. The Verizon IndyCar Series now takes a one-weekend break before heading to the hills of Sonoma for the 2017 finale event. The Go Pro Grand Prix of Sonoma will broadcast live Sunday, Sept. 17, on NBC Sports Network at 6:30 p.m. ET.